A big part of the allure of becoming an online entrepreneur is the freedom it affords us to work on our own terms and live the life we choose. Yet many of us introverts don’t take advantage of that freedom, instead becoming our own ‘horrible bosses.’ We create programs that leave us with little time to travel or spend time with our families, recreating the stress of the 9-to-5 we were trying to escape. So, how do you design programs around what you want your life to look like? What if you could take a lot of time off—and still run a very successful business? Rebecca Tracey is the solopreneur behind The Uncaged Life, a venture that helps service-based business owners get clear on their brand message and design packages that sell. Rebecca is dedicated to supporting entrepreneurs as they learn what it takes to onboard and retain clients in the online world. She also runs a free online community of more than 10K solopreneurs, and Rebecca is a passionate advocate for building a business that lets you have a LIFE! Today, Rebecca explains how she started her business from a camper van on a road trip and how it has evolved from one-on-one work to a biannual group program. She discusses her strength in executing on decisions without overthinking, sharing her ‘good enough is good enough’ philosophy around getting things done. 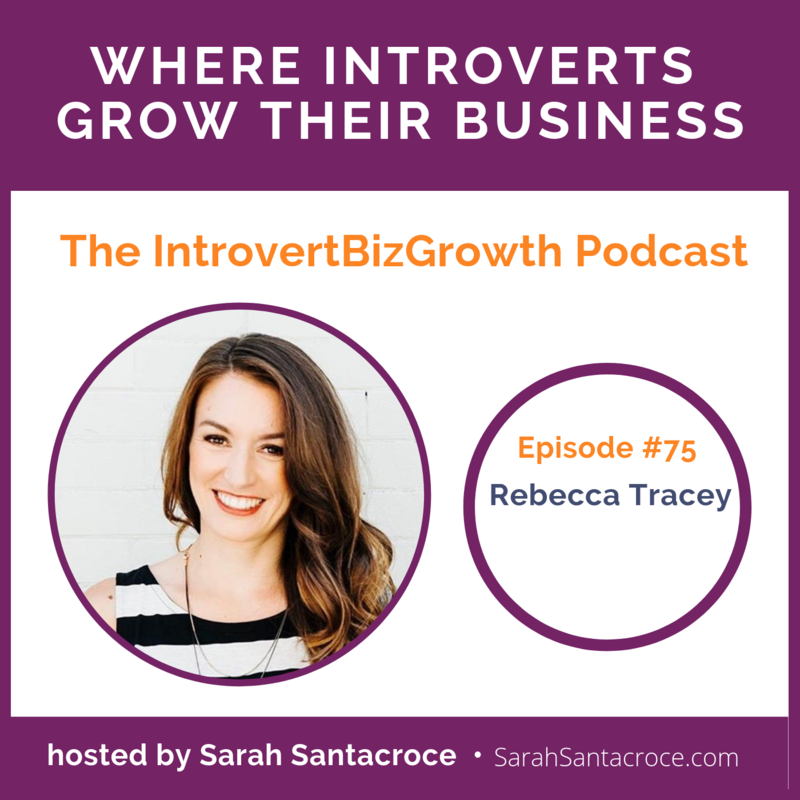 Rebecca also offers insight on her fear of missing out as an introvert who avoids conference-style events and describes the AHA moment early in her business when she learned to follow her intuition. Listen in to understand why making sure a client is a good fit is key to marketing with integrity and learn how taking a lot of time off to travel contributes to Rebecca’s success! How Rebecca started her business from a camper van on a road trip. How Rebecca helps service-based business owners define their niche. The evolution of Rebecca’s business from individual to group programs. The pros and cons of biannual launches vs. evergreen programming. Rebecca’s strength in executing on decisions without overthinking. Rebecca’s FOMO on deepening connections at conference-style events. The AHA moment when Rebecca learned to listen to her gut feeling. Why Rebecca believes taking time off contributes to her success. How Rebecca uses Boxer to build connections with colleagues + clients. The book that made Rebecca reflect on worrying about other’s opinions. Why Rebecca answers a prospect’s questions with a voice reply or video. Why making sure a client is a good fit is key to marketing with integrity. Thanks so much for listening to this episode. If you enjoyed it, I would be super grateful if you’d share it using the social media buttons you see at the bottom of the post. And if you don’t have it yet, get your free 4-step Guide on How to Say no to Grow. You’ll be added to my list as well so I can share the latest episodes and other introvert related resources with you. Also, please leave a review on iTunes. I’m told that they really matter so if you’d take a minute I’d appreciate it. And finally, don’t forget to subscribe to the show on iTunes or on Android to get notified for all my future shows.